Recently, we travelled 3 hours to Husband's cousin's wedding. She has a daughter Alyssa, that is 2 weeks older than Rona. 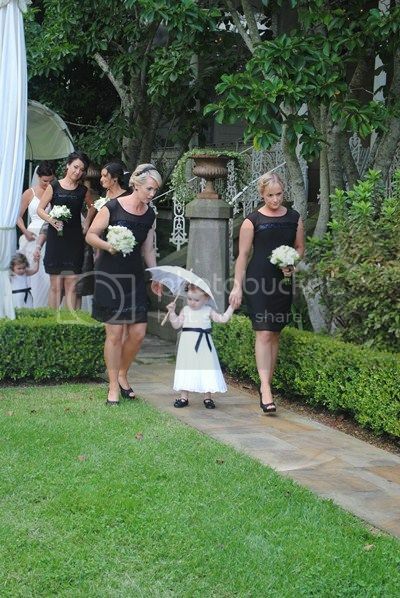 Rona, Alyssa and Grace (William and Deanne's daughter, 2 months younger than Rona) were all flower girls. 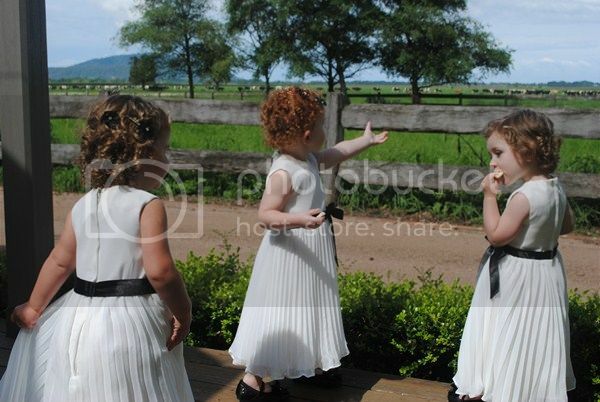 This is before the ceremony, while the girls were waiting for the photos of the bride to be done. About to walk down the aisle. Rona detoured a bit while trying to walk down the aisle but we got there.